Are you in Morocco for a business trip or on a vacation? Whatever may be the reason for your being in Morocco you will defiantly love to explore the hidden treasures that Morocco has in abundance. 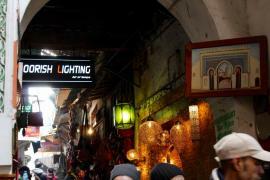 If you have such a wish then it is best to be part of Agadir City Toursthat we organize. There are many tour operators who organize such tours but we are the one who is liked by tourists coming from all over the world. Yes, there are definite reasons for us being such. As you know the reasons you will also be one who will love to be part of our tours. Let us know the reasons which make us stand out from the rest. 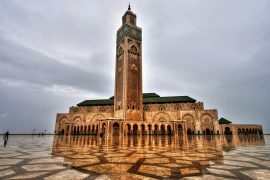 • We are the one who will offer you various tours which will help you to know Morocco at its best. The tours of ours can be easily customized so that you feel comfortable when you tour with us. • The guides who will be guiding you through the various tours of ours are local guides who have the perfect knowledge to explain to you the importance of the places that you visit. They have the ability to speak English so you will not have any language-related problems. • The transportations that you will have during our tours will be the most comfortable ones that you can imagine. The vehicles which are weather controlled will be driven by efficient drivers to offer you a comfortable ride. So, we hope that now you can understand why we are the one chosen by tourists from all over the globe. As you have decided by now that you will be a part of our tours it is prudent that you know about some of the tours that we organize. Agadir City Tour: This is one of our most wanted tour that tourists like to be part of. 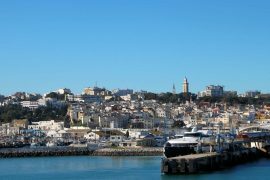 The tour will commence from Kasbah of Agadir that is situated high on a hill overlooking the city as well as its wonderful sea. Being at the ancient remains of Agadir, you’ll be able to enjoy some spectacular views of the city and its bay. You can have a stop at the harbor where local fishermen come to sell their catch. Not only that being at the Museum of Arts and Popular Traditions you will have the chance to see some old Berber jewelry, pottery, rugs, wood and other objects. You can expect to have air-conditioned transportation, service of local guides and the cost also includes the monument fees. Agadir Shore Excursion: This tour enables you to enjoy the amazing sea shore of Agadir. You will be fascinated by the comfort and enjoyment that you will be able to have during our tour. If you wish to be part of any such tour, that we organize you can directly call us or e-mail us and have the reservation done. So, be in contact with us and be a part of the Agadir City Tours and know about the hidden treasures of Morocco.